The Wooden Keg Tavern was established in 2005. Throughout the years the operation grew in size and capacity and has evolved from a basic bar food menu, to a full menu that rivals any restaurant, not by its sheer size, but by it’s quality! The St,Clair Wooden Keg was named one of Pennsylvania’s most unique dining experiences. 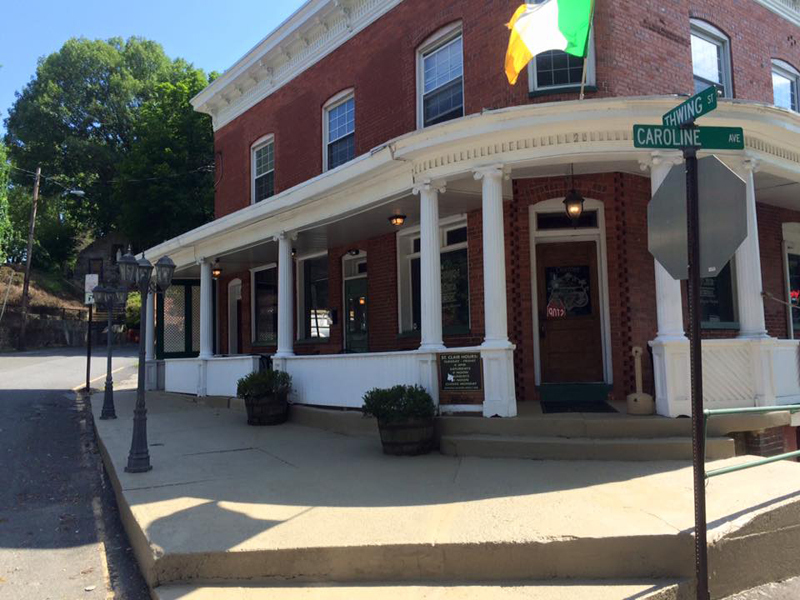 Housed in 1860’s hotel and reputed hangout of The Molly Maguires, guests can dine in the lively Pub area or downstairs in the Molly Maguire Tunnel Room. The Wooden Keg St.Clair also houses their all new private dining room called “The Speakeasy”. modeled after a 1920’s secret speakeasy guests enter this space via a secret bookcase. Owned and operated by James T Croley II and his wife Jessica M. Croley. Nice local pub. It has historic value. The downstairs has a true coal mine with traditional rail car and old gas lanterns inside, etc. You are able to walk inside and take pictures. It’s a bar, but serves good food. They have table service and it’s a cozy place for a few friends, but not really a fancy place. A great place to get together and have a few drinks! The food is good, the beer is cold and the atmosphere is as expected. It’s a nice little local pub that sees a ton of locals. It’s a great place to grab a pint and enjoy your friends. I Fell in love with the St.Clair building the first time I stepped into it!